A $1 million negligence lawsuit against a Texas body shop announced last Monday exposed the flaws in insurers’ rationale for OEM repair procedure deviation. 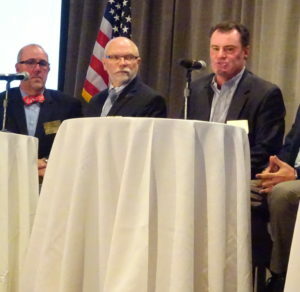 Allstate and State Farm representatives at the Collision Industry Conference last Tuesday and NACE MSO Symposium Wednesday failed to support the idea that OEM instructions are always the standard of care — a position endorsed by all major collision repair trade groups, I-CAR, and even CIC’s own definition of a collision repairer. But that Monday, the OEM procedure standard was dramatically endorsed by plaintiff’s attorney Todd Tracy, who is suing Dallas-based John Eagle Collision Center for more than $1 million on behalf of Matthew and Marcia Seebachan. 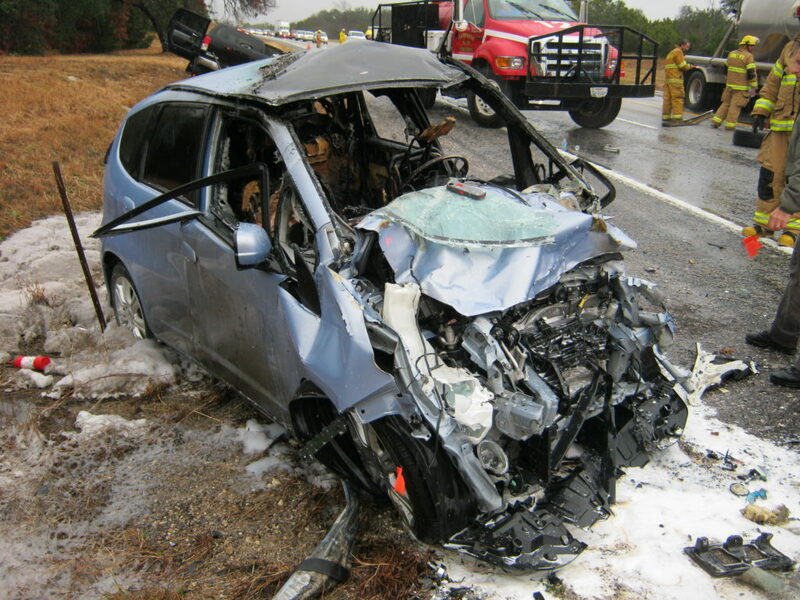 The Seebachans were trapped in a burning 2010 Honda Fit — and experts argue the severity of the crash and their injuries were the result of the body shop bonding the Fit’s roof during hail repairs for a prior owner. (The 2010 Fit should have better withstood what appeared to be a moderate-overlap crash if factory crashworthiness was restored, one argued.) Honda OEM repair procedures dictate the roof of the unibody vehicle be welded. The dealership’s law firm did not respond to a message for comment. In an answer to the initial version of the lawsuit, John Eagle Collision said some combination of the Seebachans, another party (presumably the other driver) or the accident itself were responsible for what happened. It also argued that the couple’s pre-existing and subsequent conditions and failure to mitigate their situation could be to blame for the outcome. The Tracy Law Firm on July 24 released a copy of the deposition of John Eagle Collision body shop director Boyce Willis. The document reveals how indefensible deviating from repair procedures appears under grilling from a lawyer. There are indeed times when shops or insurers have suggested an alternative procedure to lower repair costs, and the OEMs have evaluated the recommendation and agreed. But until the OEM renders its decision and changes its repair procedures, the shop must continue to follow the existing procedure, as Society of Collision Repair Specialists Executive Director Aaron Schulenburg pointed out during CIC July 25. Otherwise, it seems that an attorney like Tracy can easily rip the shop apart on the stand. Let’s look at some of what insurers used last week as reasons for hesitating on repair procedures and hold these stances up against the lawsuit and other industry facts. Q. Would you agree with me that Honda Motor Company, Ltd., as the vehicle manufacturer of the 2010 Honda Fit, that they know a bit — they know the safest way to repair their vehicles? Q. They’re the experts in safety of vehicles? Q. Is the 3M 8115 an approved item? Q. … Who approved 3M 8115 for use on Honda vehicles, specifically the 2009 to 2013 Honda Fit?· Who approved it? Q. I — at the collision center.· Because no one at Honda has approved the 3M 8115 product to be used. Asked about OEM repair procedures, State Farm claims director Russ Hoffbauer said July 26 “We don’t consider them Gospel.” He said there were disagreements on items like wheels and parts. Evans was more charitable a day prior, describing it as “very few and far between” that State Farm would refuse something on an actual OEM repair procedure. He and Allstate director Sandee Lindorfer, who spoke July 26, both described case-by-case decisions on whether to pay for scanning. Q. Do you agree that as the voice of John Eagle Collision Center, that when someone takes their vehicle to your certified body shop to be repaired after a vehicle collision or hail damage, that people trust that the body repairs will be performed according to the vehicle manufacturer’s repair specifications? A. Yes. According to the insurance company. Q. But at the end of the day, I mean, you have — John Eagle Collision Center has to comply with the vehicle manufacturer’s repair specifications, correct, sir? “There is a degree of inconsistency,” Marlow said of shops’ adherence to OEM repair procedures. Some seem to be followed, and “others don’t,” he said, earlier giving the example of shops which torque bolts with an air gun instead of a torque wrench. Such inconsistency makes it difficult for an insurer to know which repair procedures matter, he said. Marlow’s comments came in response to an observation by fellow panelist Gary Wano, owner of G.W. and Son Body Shop. Wano said that bad shops’ erroneous repairs somehow become the standard for a market rather than the actual OEM repair procedures, and “shame on all of us” for letting this happen. But the insurers really have no excuse for being as confused by the actions of hack repairers as Marlow suggests they might be. Top insurers participate in educational events like CIC, and that body repeatedly recognizes the shops attending as some of the best in the industry. Like Wano, those shops repeatedly at CIC share their frustration at being considered a problem shop because what they say needs to be done and reimbursed differs from the behavior of a hack-filled market. If you’re going to bet on a shop being right, wouldn’t it be the CIC “elite” shops — who are serving alongside you on CIC panels? Combine that with presentation after presentation from OEMs and technical experts explaining why various procedures — like the notorious “scanning” — are necessary, and there’s no excuse for an insurer attending a CIC or MSO Symposium to plead confusion as to what should be done. If anything, they should be alarmed by the guys who aren’t doing these things, not treating those shops as a legitimate counterpoint. Finally, the “all the other shops in your market are doing it that way” argument is the kind of illogic that your mother skewered when you were a kid with “If all the other kids jumped off a cliff, would you do it?” If the other shops are doing it wrong, that’s their problem. Q. And they tell you, regardless if it’s Honda Motor Company, Ltd. or American Honda Motor Company, Inc., they all — both of those entities put out repair guidelines for body repairs, correct? Q. And tell me what the name of any American Honda Motor Company, Inc. body repair document that authorizes repair facilities like John Eagle Collision Center, that authorizes them to use adhesive to glue a new roof back on a 2009 to 2013 Honda Fit. Q. So John Eagle Collision Center chose on its own to use adhesive to glue back a roof — a new roof on a 2010 Honda Fit? Q. So John Eagle Collision Center, they made a conscious decision to use adhesive to glue this roof in place? Q. This is the — the OEM, Honda Motor Company, Ltd., is telling John Eagle, you better follow this, right? A. Well, they don’t tell you you better follow it, but it’s — it’s a guide to repairing a car. Q. It’s the — it’s the body repair bible, right? MR. REESE: Objection to form. There was a lot of suggestions from insurers that OEM repair procedures were vague, or ambiguous — the implication that this gave the insurer (or shop) an excuse not to follow them. From a customer standpoint, that argument is appalling: In an ambiguous situation, the insurer and shop are not deferring to the safest course of action, even if it is more expensive. And from a factual standpoint, it’s disingenuous. 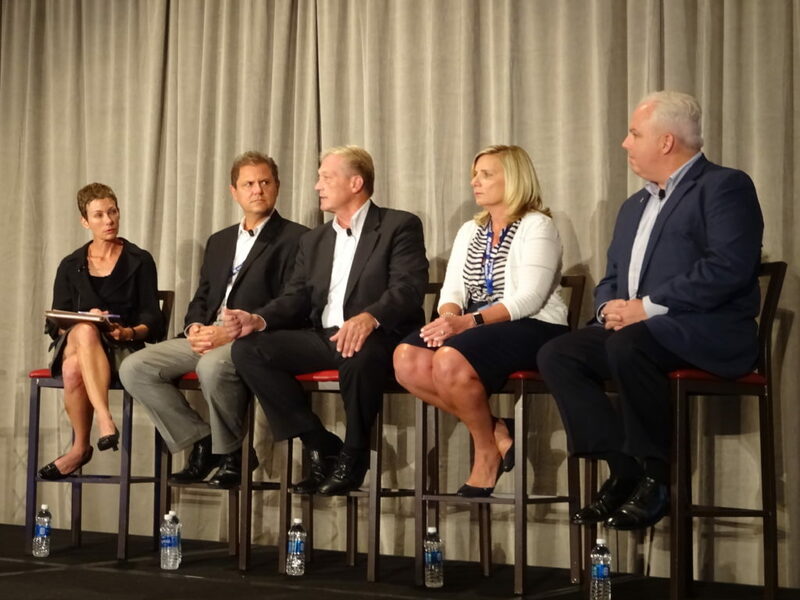 OEMs have been speaking alongside or in the same conference as auto claims leaders at panels exactly like this one on scanning alone for at least a year. Some OEMs might truly mean “all” when they say all — it’s not vague; it’s actually specific. The “Ask I-CAR” feature provides a direct connection to the manufacturer for asking about the ambiguity, and a turnaround quick enough to preserve cycle time. There’s no excuse for pleading vagueness and not taking action to obtain clarity. Q. All right.· Now, let’s look at Exhibit 200. Q. (BY MR. TRACY)· That’s from 3M, correct? Q. Dated December of 2011, correct. Q. And it specifically states that Honda does not permit the use of adhesives. Q. Yet you used 3M 8115 adhesive? Q. All right.· In fact, 3M acknowledges that Honda wants its vehicles to be welded, right? Q. (BY MR. TRACY)· What it states? A. Yes. They’ve got a standard position to protect themselves, yes. Q. I understand. But — so 3M — but earlier you told me that 3M says that it’s okay to use this on Honda vehicles. The document dated December of 2011 from 3M, Plaintiff’s Exhibit 200, says it’s not okay to use it. Show me the document from 3M where it specifically states it’s okay to use 3M 8115 adhesive on a 2009 to 2013 Honda Fit? A. I don’t have any. Q. Are there any documents at all from 3M that says it’s okay to use it on the Honda? Q. So the only 3M document that we have says it’s not okay to use adhesives, right? A. Well, that’s their position statement, yes. Q. I understand. But that’s what’s in writing. And it wasn’t written by us; it was written by 3M, right? “There is a certain inherent risk in what this industry does,” Marlow said July 25, and argued that the mechanical side has figured out how to manage it. Which ignores the fact that the mechanical side doesn’t have insurers hassling them to ignore OEM repair procedures — the shop can make its own decisions and sink or swim without external pressure. “We’re letting liability manage us as an industry,” Marlow said, arguing that insurers would be sued as well should something happen. In the Seebachan case, however, Tracy has not sued State Farm, the carrier which paid more than $8,500 for the 2012 hail repair, but he has sued the body shop. It’s unclear if State Farm gave any direction as to how the repairs should be performed. As noted above, Willis mentions general insurer influence in collision repair, but seems pretty adamant that the adhesives were John Eagle Collision’s call. Perhaps if the insurer agreed to assume all liability, shops would feel free to deviate, but until then, “That liability falls directly on me,” said Wano.